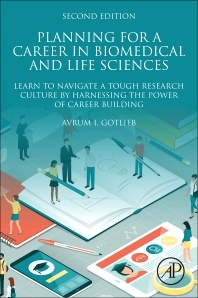 Planning for a Career in Biomedical and Life Sciences:Learn to Navigate a Tough Research Culture by Harnessing the Power of Career Building, Second Edition, presents useful information, insights and tips to those pursuing a career in the biomedical and life sciences. The book focuses on making educated choices during schooling, training, and the job search in both the academic and non-academic sectors. The book's premise lies in the notion that if users understand the full path of a career in either the biomedical or life science fields, they can proactively plan their career, recognize any opportunities that present themselves, and be well prepared to address important aspects of their own professional development. Topics include choosing a training path, selecting the best supervisor/mentor, and negotiating a job offer. Updates to this edition include an outline of core competencies to achieve success, how to build soft skills and tailor them to specific job opportunities, and how to increase collaborations across disciplines. Additionally, coverage on issues around diversity, health, wellness and work/life balance are expanded. This book is a valuable resource for undergraduate, graduate, medical and postdoctoral students in the biomedical and life sciences, as well as academic faculty and advisors. Dr. Gotlieb’s research interests include atherosclerosis and valvular heart disease. He has published over 100 peer reviewed papers, and 35 reviews and book chapters. He has edited three books, including the comprehensive textbook, Cardiovascular Pathology. He is a former President of the American Society for Investigative Pathology (ASIP) and past President of the Canadian Society of Atherosclerosis, Thrombosis and Vascular Biology (CSATVB) and the Society for Cardiovascular Pathology (SCVP). He was a member of the Board of the Federation of American Societies of Experimental Biology (FASEB) and served as FASEB Vice-President for Science Policy. He is an elected Fellow of the Canadian Academy of Health Sciences and a Senior Fellow of the Association of Pathobiology Chairs (APC). He was honoured by SCVP with the Distinguished Achievement Award and by APC with their Distinguished Service Award.